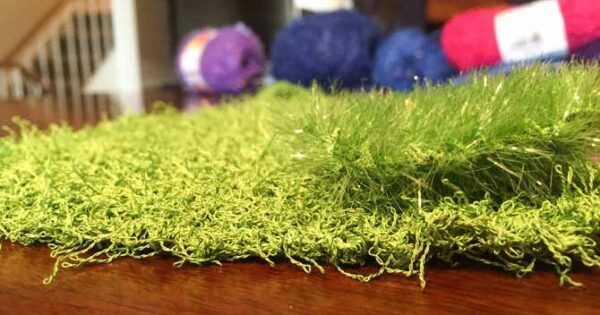 With all the talk yesterday about spring cleaning, it made me think about the different types of scrubbies you can use; sometimes you want them big, small, thick, thin, soft or rough. With the myriad of different jobs we use these scrubbies for, it makes sense that we would knit them all differently. 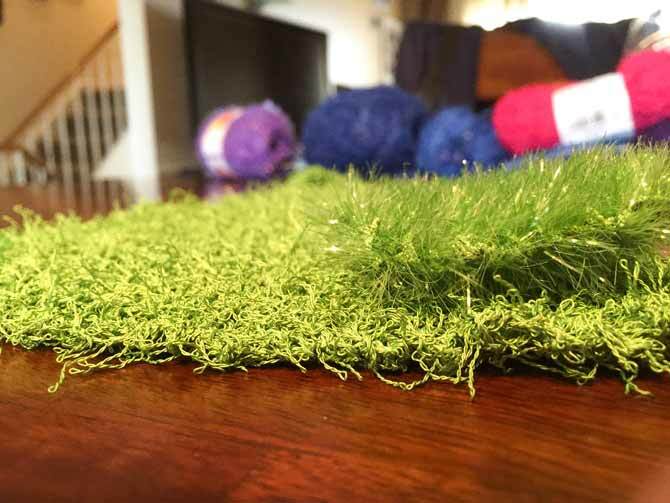 Here are 3 tips for mixing Scrubby and Scrubby Sparkle yarns for your cleaning purposes. Just casting on one more! Since we are covering Red Heart’s Scrubby and Scrubby Sparkle, I would suggest knitting with a strand of each to add a little bit of pizzazz to your dish cloths. If you don’t want to go full sparkle and just hold 1 strand of Scrubby Sparkle and one of Scrubby together. If you’re going to hold two strands together, stay with the recommended needle size of 5mm or US 8 and your cloth will be thicker. You can also pair a cotton yarn, like Crème de la Crème, with a strand of Scrubby. The cotton yarn will lend thickness and make the scrubby a bit softer than if you went with 100% Scrubby yarn. There would be ample opportunity to play around with pairing variegated cotton yarns with a solid strand of Scrubby. 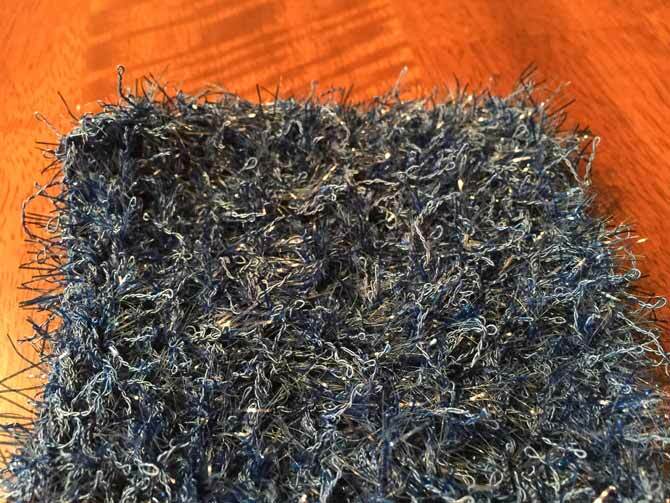 It would change the whole look of the cloth and a variegated touch, since Scrubby only comes in solid colors. 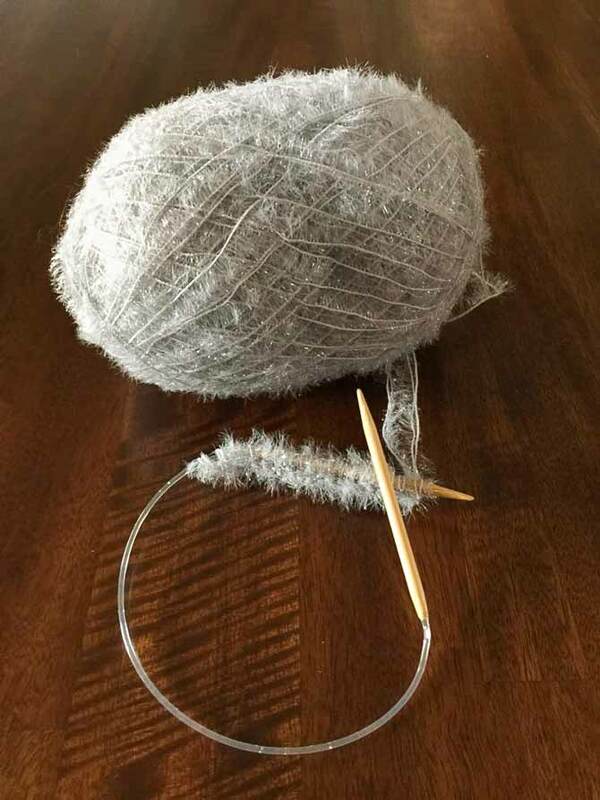 If you’ve delved into the world of double knitting at all, you could make a cloth that’s cotton yarn on one side and scrubby yarn on the other. I’m actually really excited about this idea because those double sided sponges are my favorite. Cotton yarn and Scrubby Sparkle held together. When we’re really attempting to make these cloths thicker or thinner, it’s all about gauge. If you use more strands, and keep the needle size, your cloth will be thicker. If you keep the same amount of strands but go up a needle size, your cloth will be thinner. If you keep the same amount of strands, but go down a needle size, your cloth will be thicker. This is the perfect opportunity to play with gauge if you’re not quite sure how it works. Any chances to figure out this mystical monster known as gauge should not be passed by lightly. A Scrubby dishcloth knit with a single strand and a Scrubby Sparkle dishcloth knit with double strands. These quick and easy projects are an excellent chance to hone your skills and try new things that might have been a bit intimidating to you. 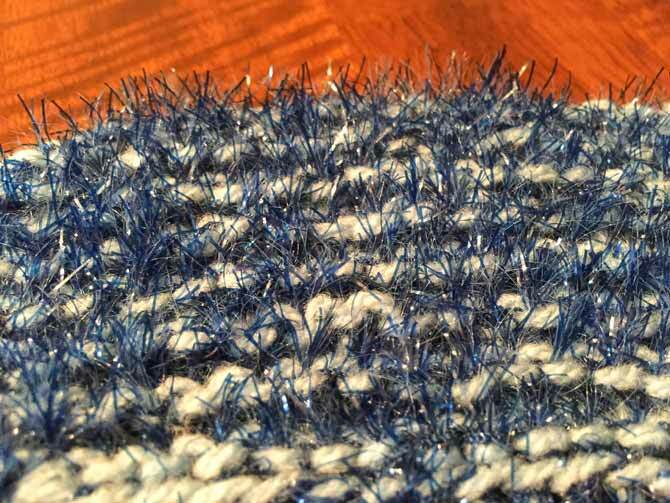 Try out double knitting, figure out what happens when you mix a variegated with a solid color, why not try holding a strand of Scrubby, Scrubby Sparkle and cotton together? Carpe diem.